The Competition Act 2002 (Competition Act) is the primary Indian law dealing with vertical restraints. Also, some sector-specific laws (such as the Telecom Regulatory Authority of India Act 1997, Electricity Act 2003 and Petroleum and Natural Gas Regulatory Board Act 2006) empower specially created sectoral regulators to enforce rules aimed at promoting competition in their respective sectors, which may extend to regulation of vertical restraints specific to telecoms, electricity or petroleum and natural gas. resale price maintenance: any agreement wherein goods are sold on the condition that the resale price shall be the price stipulated by the seller, unless clearly stated that prices lower than those prices may be charged. The Competition Act seeks to prohibit vertical restraints that cause or are likely to cause an AAEC in India - with the larger objective of promoting and sustaining competition in markets. That said, while assessing whether a vertical restraint may cause an AAEC, the CCI is quite likely to examine its impact on consumers’ interests as well. In practice, on several occasions the CCI has refused to entertain consumer disputes presented under the guise of competition complaints (eg, Akhil R Bhansali v Skoda Auto India Pvt Ltd (Case No. 44 of 2017)). The CCI is the primary authority responsible for enforcing the prohibitions on anticompetitive vertical restraints across all sectors. In its review of vertical restrictions, the CCI is assisted by its investigative arm - the Director General (DG). Decisions of the CCI may be contested before the National Company Appellate Tribunal (NCLAT), and decisions of the NCLAT may then be contested before the Supreme Court of India. The political executive has no role to play in the substantive review of competition cases, including on vertical restraints. However, the government has the power to exempt any class of enterprises or agreements from the application of the Competition Act, issue directions to the CCI on policy issues and even supersede the CCI if it fails to perform its functions. Additionally, certain sectoral regulators in India also enforce rules that are aimed towards promoting competition in their respective sectors (see question 7). Any vertical restraint that causes, or is likely to cause, an AAEC in India is prohibited. The CCI can assume jurisdiction over enterprises located outside India, so long as the vertical restrictions imposed by such enterprises impact competitive conditions in India. The CCI often probes enterprises domiciled outside India. For example, in 2011, the CCI dismissed allegations of vertical restrictions allegedly imposed by Intel Corporation (a Delaware corporation) and its Indian subsidiary by fixing targets and incentives, restricting distributors from dealing with competitors’ products and determining the resale price for their distributors. Even in a pure internet context, the CCI will have jurisdiction to assess extra-territorial vertical restrictions if it considers such restrictions to impact the conditions of competition in India. The prohibition on vertical restraints applies to all ‘enterprises’, including public entities performing non-sovereign economic functions. Sovereign functions of the government include activities of the government dealing with atomic energy, currency, defence, space, etc. In other words, if a public entity is engaged in an economic activity, its conduct would be subject to scrutiny under the Competition Act. The CCI has indeed assessed allegations of vertical restraints against public undertakings. For instance, the CCI recently examined whether the Indian Oil Corporation Limited (and two other state-owned oil and gas companies (together, PSUs) had imposed restrictive vertical conditions allowing the successful bidders to receive 40 per cent of their total income in the form of fleet and loyalty cards that were usable at the petrol pumps of these PSUs. The CCI found this condition to be commercially justifiable, primarily on account of bona fide requests for such loyalty cards from the bidders themselves (XYZ v Indian Oil Corporation Ltd (Case No. 5 of 2018)). The prohibition on anticompetitive vertical agreements applies to all enterprises, regardless of the sectors in which they operate. Sectoral regulators such as the Telecom Regulatory Authority of India and the Central Electricity Regulatory Commission are also often tasked with enforcing rules aimed at promoting competition in the respective sectors. Very recently, in the context of the telecoms sector, the Supreme Court of India has clarified that if a sector-specific regulator (in this case, the Telecom Regulatory Authority of India) is already deciding certain jurisdictional issues, which are also integral for the CCI to reach a finding, the CCI must defer its inquiry until such issues are settled by the sector-specific regulators (CCI v Bharti Airtel Limited (Civil Appeals Nos. 11847-11851 of 2018)). All vertical arrangements that cause, or are likely to cause, an AAEC in India are prohibited. There is no market share or materiality-based exemption. That said, inherent in the examination of whether a vertical restraint can cause an AAEC is the assessment of whether the entity under scrutiny enjoys some degree of market power. The CCI often uses high market shares as a proxy for market power and often rejects allegations of vertical foreclosure where the market shares of the enterprises enforcing such restrictions are insignificant. the prohibition on vertical restraints does not restrict the right of any person to export goods from India - to the extent that such agreement relates exclusively to production, supply, distribution or control of goods or provision of services for such export. The Competition Act defines an agreement to include any arrangement or understanding or action in concert whether or not such arrangement, understanding or action is formal or in writing; or whether or not such arrangement, understanding or action is intended to be enforceable by legal proceedings. An agreement under the Competition Act need not be in writing - and includes any unwritten arrangement, understanding, or action in concert. CCI’s decisional practice suggests that an ‘understanding may be tacit, and the definition covers situations where the parties act on the basis of a nod or a wink’ (Re Director General (Supplies & Disposals) Directorate General of Supplies & Disposals, Department of Commerce, Ministry of Commerce & Industry, Government of India (reference Case No. 01 of 2012)). To establish an agreement, the CCI may consider circumstantial evidence, conduct or behaviour of the parties. For example, in 2015, the CCI penalised several automobile manufacturers for entering into anticompetitive vertical agreements with their authorised dealers, which restricted the dealers from selling automobile spare parts to third parties. Some of these agreements were in the nature of unwritten understandings between the original equipment manufacturers (OEMs) and their dealers, which effectively resulted in dealers refusing to sell spare parts on the open market (Shamsher Kataria v Honda Siel Cars India Ltd (Case No. 3 of 2011) (Autoparts)). The CCI recognises the single economic entity doctrine (SEE Doctrine) and does not typically subject agreements between enterprises forming part of the same group to the scrutiny of section 3 of the Competition Act (which includes the prohibition on vertical restraints). While allowing enterprises the benefit of the SEE Doctrine, the CCI is likely to test de facto and de jure control exercised by a common parent over the management and affairs, including commercial decisions of the related companies. The Competition Act does not prescribe any specific rules for agency agreements, and the prohibition on vertical restraints applies to all agreements between enterprises operating at different stages or levels of the production chain. Under the Indian Contract Act, an ‘agent’ means a person employed to do any act for another, or to represent another in dealing with third persons; and the person for whom such act is done is called the ‘principal’. Courts in India have often distinguished agent-principal relationships from purchaser-seller relationships. Therefore, agency presupposes lack of independence on the part of the agent and continued oversight of the principal on the actions deputed to the agent. A vertical arrangement within the meaning of the Competition Act arguably requires the arrangement to involve at least two or more independent entities (or principals). Accordingly, it appears unlikely for the standard rules on vertical restraints to apply to the restrictions imposed on an agent by its principal with the same rigour as principal-principal agreements. Limited guidance on this subject comes from CCI’s recent analysis of arrangements between Uber and Ola (India’s two key technological platforms for taxi aggregation) and their respective driver-partners. CCI’s latest decision involving these platforms dismisses allegations of resale price maintenance related to algorithmic price-setting by Uber and Ola. In its assessment, the CCI explained that, while the drivers are legally independent entities offering transportation services to the riders, they are effectively extensions or agents of Uber and Ola when they operate through their platforms. 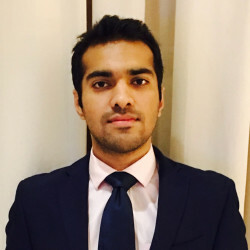 It found that there was no ‘resale’ in this arrangement, because effectively, a single transaction takes place between the rider and Ola or Uber, which provide the composite service of the driver-rider matchmaking (Samir Agrawal v ANI Technologies Pvt Ltd (Case No. 37 of 2018) (Samir Agrawal)). Interestingly, in another closure decision involving these platforms, the CCI has suggested that incentives given by Uber and Ola to their prospective drivers (which were alleged to have exclusionary effects on competitors) do not fall under the definition of agreement under the Competition Act (Meru Travel Solutions v ANI Technologies Private Limited (Case No. 5-28 of 2017)). See question 12. As yet, the CCI does not appear to have discussed an agent- principal arrangement in the online sector. the Semi-conductor Integrated Circuits Layout-Design Act 2000 (IPR Exemption). The CCI appears to have been somewhat conservative in extending the benefit of IPR Exemption to entities imposing vertical restrictions. First, the CCI appears to have interpreted the ‘reasonable’ and ‘necessary’ conditions quite strictly and refused to extend the benefit of the IPR Exemption to vertical restrictions if the entity imposing such restrictions could protect its IPR by adopting a less restrictive method. Second, the CCI has read the text of the IPR Exemption literally and has refused to allow the benefit of the IPR Exemption if the right was not strictly characterised under the six laws identified in section 3(5) of the Competition Act. foreclosure of competition by hindering entry into the market. promotion of technical, scientific and economic development by means of production or distribution of goods or provision of services. Also, inherent in the CCI’s assessment of market foreclosure is an analysis of the market position of the enterprise enforcing the vertical restriction (see questions 16 and 17). In practice, the CCI does not often entertain allegations where actual or likely market foreclosure is not demonstrated. For example, in 2017, the CCI dismissed allegations of vertical restraints and abuse of dominance in relation to power purchase agreements entered between NTPC Limited (an enterprise engaged in electricity generation) and Tata Power Delhi Distribution Limited (an electricity distribution company). The CCI was called upon to examine the exclusionary effects arising out of the long-term nature of power purchase agreements executed by NTPC Limited, specifically whether the lock-in restricted new enterprises from entering the electricity generation market. The CCI considered that significant investment made by the electricity generating companies naturally required that the power purchase agreements with distributors be for a longer duration. Moreover, since the tariffs are independently determined by the regulator for the electricity sector, there was little possibility of harm to consumers. The Competition Act does not expressly require the CCI to consider the market share of the supplier while assessing vertical restraints. That said, the CCI typically only finds vertical restrictions to raise concerns when they are enforced by enterprises enjoying some degree of market power. On several occasions, the CCI has summarily rejected allegations of vertical restraints where the suppliers’ market shares were insignificant. Most recently, the CCI dismissed allegations of resale price maintenance against manufacturers of Vivo mobile handsets in India on account of low (and declining) market shares, low turnover and high degree of inter-brand competition in the Indian smartphone market (Tamil Nadu Consumer Products Distributors Association v Fangs Technology Private Limited (Case No. 15 of 2018)) (Vivo). Equally, the CCI has considered the presence of other players in the market to infer that inter-brand competition in the FMCG sector was not affected (Ghanshyam Dass Vij v Bajaj Corp Ltd & Ors (Case No. 68 of 2013) (Ghanshyam Dass Vij)). Also, while the CCI may not exonerate anticompetitive restrictions purely on account of them being prevalent across the sector, it may consider the conduct of other enterprises in the industry to understand if such restrictions are objectively necessitated or justified by industry-specific concerns (eg, in an abuse of dominance and cartel context; see Faridabad Industries v Adani Gas Limited (Case No. 71 of 2012) (Faridabad Industries) and Shri Jyoti Swaroop Arora v Tulip Infratech Ltd (Case No. 59 of 2011)). As noted in question 16, while assessing vertical restrictions under the rule of reason framework, the CCI may consider the market shares of the buyer. For example, in Automobiles Dealers Association v Global Automobiles Limited & Ors (Case No. 33 of 2011), the CCI dismissed allegations of exclusive distributorship agreement because both parties to the agreement had insignificant market shares, which diminished the likelihood of market foreclosure. There are no block exemptions or safe harbour provisions relevant to the analysis of vertical restraints in India. A resale price maintenance agreement that causes, or is likely to cause, an AAEC in India is prohibited. See question 2 for the definition of resale price maintenance. Also, the Competition Act only prohibits vertical agreements that prescribe a minimum resale price. Fixing of the maximum resale price by a supplier is unlikely to raise resale price maintenance related concerns. The CCI has examined resale price restrictions in a limited set of cases, but has reached a finding of infringement in only one instance. In Fx Enterprise Solutions India Pvt Ltd and Ors v Hyundai Motor India Limited (Cases Nos. 36 and 82 of 2014) (Hyundai), the CCI found that Hyundai Motor India Limited’s (HMIL) prescription of maximum permissible discount to its dealers stifled intra-brand competition and resulted in higher prices for the consumers. The CCI noted that anticompetitive resale price restrictions could be achieved both directly or indirectly, for example, by fixing distribution margin, fixing maximum level of discount, making the grant of rebates or the sharing of promotional costs conditional on adhering to a given price level, linking a resale price to the resale prices of competitors, or using threats, intimidation, warnings, penalties, delay or suspension of deliveries as a means of fixing the prices charged by the buyer. However, this decision of the CCI has been set aside by the appellate court for defining the relevant market incorrectly and failing to independently verify the evidence collected by the DG, among other reasons. Relevantly, in the past, the CCI has refused to investigate allegations of resale price maintenance where the alleged restriction allowed the supplier to recommend the maximum retail price; and the distributor was only required to inform the supplier of its decision to allow a discount higher than stipulated (Shubham Sanitary Wares v HSIL Limited (Case No. 9 of 2015) (Shubham Sanitary Wares)). In 2018, the CCI also initiated an investigation into allegations of imposing discount-related restrictions (enforced by levy of penalties for non-compliance) by Honda Motorcycle and Scooter India Private Ltd - finding on a prima facie basis that this could foreclose intra-brand competition among the dealers and increase prices. A recent CCI decision also highlights the importance of demonstrating ‘resale’ for a restriction to qualify as anticompetitive resale price maintenance. The CCI dismissed allegations that Ola’s and Uber’s (two of the largest radio taxi aggregators in India) practice of using algorithms to fix prices to be charged by their driver-partners to riders left no room for the drivers to charge a lower amount, which resulted in the maintenance of the floor price. The CCI found Uber’s and Ola’s services to be composite in nature - characterised by a single transaction between the rider and Ola or Uber and single generation of price. It also noted that such dynamic pricing often results in prices lower than that charged by independent taxi drivers, which also shows that there is no fixed floor price as such. Together, these factors precluded any resale price maintenance concerns (Samir Agrawal). To our knowledge, the CCI has not assessed a resale price maintenance restriction under any of these specific circumstances. That said, as resale price maintenance restrictions are assessed under the rule of reason test, the CCI is required to consider the efficiencies arising out them. Indeed, decisions relating to vertical restrictions have considered factors such as low market shares, limited duration of vertical restrictions and protection of brand image to negate the likelihood of market foreclosure (eg, Himalya International Ltd v Himalya Simplot Pvt Ltd (Case No. 92 of 2013); Shubham Sanitary Wares; and Ashish Ahuja v Snapdeal.com (Case No. 17 of 2014) (Snapdeal)). In Hyundai, the CCI briefly explored the possible links between resale price maintenance restrictions and cartels - and noted that a minimum resale price condition, if imposed at the behest of the distributors, would be particularly problematic because of the likelihood of similarity in prices at the level of the distributors - an outcome usually associated with cartels. That said, as explained in question 19, this decision of the CCI was recently set aside by the appellate court. As explained in question 15, the CCI assesses resale price maintenance restrictions under the rule of reason framework, and is therefore obliged to look at any efficiencies arising out of vertical restrictions. To our knowledge, the CCI’s examination of resale price restrictions has not yet substantially dealt with the efficiencies arising out of such restrictions (but has often commented on the lack of any efficiencies or consumer benefit arising out of resale price maintenance). To our knowledge, no decision of the CCI addresses a resale price restriction of this kind. That said, a resale price maintenance restriction could be achieved both directly or indirectly, including by linking a resale price to the resale prices of competitors (as noted by the CCI in Hyundai). Therefore, a price relativity agreement of this kind is likely to contravene the Competition Act if the CCI finds that it causes, or is likely to cause, an AAEC in India. To our knowledge, no decision of the CCI addresses a wholesale most-favoured customer arrangement of this kind. However, such an arrangement is likely to be assessed by the CCI under the rule of reason framework. A wholesale most-favoured nation (MFN) arrangement could deliver a range of pro-competitive and anticompetitive effects. Possible reduction in overall retail prices of the products for the end-consumers could be one of the more significant pro-competitive benefits attributable to wholesale level MFNs. For example, a purchaser who procures goods on MFN conditions may be able to resell the products to the end-consumer at prices more competitive than purchasers who do not benefit from the same terms. Conversely, a wholesale level MFN condition may inhibit the supplier’s incentives to offer better discounts to future customers. Equally, wholesale MFN conditions accepted by a supplier across all purchasers may result in purchase prices gravitating towards one common value reflecting an outcome usually seen in cartels. Therefore, CCI is likely to balance the pro-competitive and anticompetitive effects arising out of wholesale level MFN arrangements and intervene if it finds the likelihood of AAEC in India. To our knowledge, no decision of the CCI addresses an MFN arrangement of this kind. E-commerce in India has recently gained popularity, and the online marketplaces in India are likely to remain competitive owing to increased internet penetration, competition in the telecommunications sector and significant investments in e-commerce. A retail MFN in the online environment, therefore, is likely to be assessed by the CCI based on factors similar to those discussed in question 24. Moreover, if the online platform lacks market power, the CCI may find it difficult to find market foreclosure resulting from retail MFNs. A minimum advertised price prescribed by a supplier may raise competition concerns if it causes, or is likely to cause, an AAEC in India. The CCI’s assessment is likely to focus on whether the minimum advertised price actually deters the buyer from re-selling the products below the advertised price. If the buyer is able to sell the goods freely below the advertised prices, the risk of the market foreclosure is likely to be reduced significantly. The CCI has indeed refused to investigate resale price maintenance restrictions that were not absolute in nature - that is, where the condition allowed the supplier to recommend a maximum retail price and the distributor had to only inform the supplier of its decision to allow a discount higher than stipulated (Shubham Sanitary Wares). To our knowledge, no decision of the CCI addresses an MFN arrangement of this kind. Such an arrangement is likely to be assessed by the CCI under the rule of reason framework - similar to the analysis of a wholesale MFN discussed in question 24. Absent a monopsony situation, a buyer-imposed MFN is unlikely to adversely affect competition at the level of suppliers. Rather, the CCI may perceive a non-monopsony buyer-imposed MFN condition as beneficial to consumer interest. Restricting the territory into which a seller may sell a product will to be assessed by the CCI as an ‘exclusive distributor agreement’ and prohibited if it causes, or is likely to cause, an AAEC in India. While assessing territorial restrictions, the CCI is likely to consider the impact of such restrictions on intra-brand competition and inter-brand competition, and will also be guided by the market power of the enterprises involved. In its decisional practice, the CCI has recognised that territorial restrictions are often required to prevent free-riding, promote efficient management of sales of products, economic efficiency, etc (Ghanshyam Dass Vij). In a more recent case, the CCI did not find territorial restrictions in the distribution of mobile phones to be problematic because the customers of one sales region were not prevented from purchasing the relevant mobile phones from a dealer in another sales region, and there was no restriction on dealers from dealing with competing products in and outside the designated region (KC Marketing v OPPO Mobiles MU Private Limited (Case No. 34 of 2018) (Oppo)). 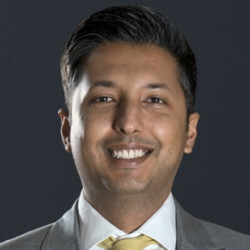 The CCI has also recently initiated an investigation into the restrictions imposed by Honda Motorcycle and Scooter India Private Limited’s (HMSIPL), a player it considers dominant, on a prima facie basis, in the market for ‘manufacture and sale of scooters in India’ for allegedly allocating areas to its distributors (Vishal Pande v HMSIPL (Case No. 17 of 2017) (Honda Motorcycles)). To our knowledge, the CCI has not assessed vertical territorial restrictions on internet sales. Such restrictions are likely to attract similar analysis as explained in question 28. Restricting the customer to whom a buyer may sell a product may be prohibited as an ‘exclusive distribution agreement’ or ‘refusal to deal’ if it causes, or is likely to cause, an AAEC in India. For example, in Autoparts, the CCI penalised various OEMs for entering into vertical agreements with their authorised dealers that restricted the authorised dealers from supplying original spare parts to third parties. In Vivo, the CCI did not identify any concerns with a clause that prevented distributors from making sales to corporate customers without prior intimation or written consent of the seller. Not only were there no documentary materials to support these allegations, but the CCI also seems to have appreciated that this restriction was necessary to ensure genuineness of the corporate sale (rather than to completely prevent them). Generally, if commercial reasons (such as for the launch of a new product or maintaining the integrity of the distribution channel) warrant imposition of a restriction of this kind, the CCI could consider the efficiencies arising out of such restrictions, as well as other factors that may reduce the likelihood of market foreclosure (such as low market shares or limited duration of the restriction). A vertical restraint restricting the use to which a buyer may put the contracted goods could be prohibited if the CCI finds such restrictions to cause, or be likely to cause, an AAEC in India. To our knowledge, the CCI does not appear to have assessed such a restraint as yet. Restricting the buyer’s ability to sell via the internet could be prohibited if the CCI finds such restrictions to cause, or be likely to cause, an AAEC in India. In 2018, the CCI assessed whether OPPO Mobile’s policy to prevent its distributors from selling OPPO products online was anticompetitive. Dismissing these concerns, the CCI found that OPPO smartphones were freely available in the market at competitive prices, including on major e-commerce websites, such as Flipkart, Snapdeal, Amazon and PaytmMall. This precluded any restriction of inter- or intra-brand competition (Oppo). In 2014, the CCI assessed allegations against Snapdeal.com (an e-commerce portal) and SanDisk Corporation (a manufacturer of electronic storage device). SanDisk persisted that only its authorised online channel partners shall sell its products through Snapdeal. Rejecting the allegations, the CCI noted that in a quality-driven market, the need to protect brand image justifies a business policy that discourages sale of products by unauthorised sellers (Snapdeal). In the following year, the CCI also examined allegations against various e-commerce websites (such as Flipkart or Amazon) that required certain products to be sold exclusively through select internet platforms to the exclusion of offline channels and competing internet portals. 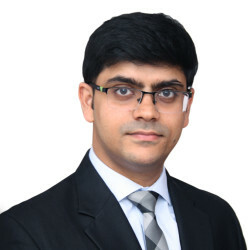 The CCI did not find any market foreclosure, because the products sold through these portals faced significant competitive constraints, and competition among e-portals was also thriving (Mohit Manglani v Flipkart India Private Limited (Case No. 80 of 2014)). See question 32. To the best of our knowledge, the CCI does not appear to have assessed a restraint pertaining to differential treatment of different types of internet sales channels, specifically on ‘platform bans’. A concerted decision by suppliers to restrict the purchasers from re-selling the products via online marketplaces may invite scrutiny for collusion. A selective distribution system that restricts the supply of goods to enterprises other than those approved by the seller is likely to be assessed by the CCI as an ‘exclusive distribution agreement’ under the rule of reason framework. In 2013, the CCI assessed a selective distribution system implemented by a state-owned oil and gas company that prescribed certain eligibility criterion for parties to qualify for a tender to transport LPG cylinders. The CCI recognised that the enterprise had the liberty to procure services from the service providers it selected and that such legitimate business decisions do not warrant antitrust intervention (Keerthy Krishnan & Ors v Bharat Petroleum Corporation Limited & Ors (Case No. 8 of 2013)). Also, to our knowledge, the CCI does not appear to have assessed whether the selection criteria in such cases ought to be published. However, if the selection criteria for such a system are discriminatory or one-sided, the CCI could assess them under the provisions relating to abuse of dominance. See question 32. To our knowledge, the CCI does not appear to have assessed the legality of selective distribution systems using the type of product as a criterion. Certainly, the likelihood of market foreclosure may be reduced if the concerned product falls in a competitive market or is such that it warrants sale through a selective distribution system alone (high-end fashion goods, for example). Restrictions on internet sales by in a selective distribution system are likely to attract similar analysis as discussed in questions 32 and 34. See the CCI’s decision in Snapdeal (question 32). The CCI may indeed take into account the possible cumulative restrictive effects of multiple selective distribution systems operating in the same market to see if they cause or are likely to cause an AAEC in India. In Autoparts, the CCI comprehensively analysed anticompetitive conduct of the OEMs ‘at the level of the macro automobile industry of India’. The CCI assessed the composite effects of the restrictive commercial arrangements instituted by all the automobile manufacturers, including warranty policies, dealer agreements, direct aftermarket sale of spare parts by suppliers, over-the-counter sales of spare parts by authorised dealers, and access to repair tools and technical information to independent repairers. The CCI in Ghanshyam Dass Vij examined and dismissed allegations of territorial restrictions as well as maintaining an exclusive distribution system (see question 28) because the supplier enforcing the restrictions did not have sufficient market power, and the presence of other players ensured that inter-brand competition in the FMCG sector was not affected. Restricting the buyer’s ability to obtain the supplier’s products from alternative sources is likely to be assessed as an exclusive supply agreement or refusal to deal and is prohibited if it causes, or is likely to cause, an AAEC in India. The CCI examined a restriction of this nature in Autoparts, where certain OEMs restricted their authorised dealers from procuring spare parts from alternative sources. On account of such restrictions, the CCI found the automobile manufacturers to wield significant market power in the market for supply of genuine spare parts. The CCI found this restriction to have foreclosed independent repairers from the market for automobile repair services. A restriction of this nature is likely to be assessed as an exclusive supply arrangement and prohibited if it causes or is likely to cause AAEC in India. In Hyundai, the CCI assessed a circular issued by HMIL to its dealers directing them to purchase engine oil from only two designated vendors - Indian Oil Corporation Limited and Shell Oil Company. This, according to the CCI, limited dealers’ choice in procuring engine oil from alternate suppliers. The CCI, however, found this restriction to be objectively justifiable, and noted that since the customers could in fact procure engine oil from other suppliers, there was no risk of AAEC. Recently, in Honda Motorcycles, the CCI initiated an investigation into various allegations against HMSIPL. One such allegation relates to a condition that required HMSIPL’s dealers to source oil and lubricants, batteries, accessories, merchandise items and insurance and finance services only from designated sources. The CCI suggested that this could create barriers for suppliers of oil and lubricants, batteries, etc, restrict consumer choice, result in higher prices and thereby lead to AAEC. A restriction of this nature is likely to be assessed as an exclusive supply arrangement and will be prohibited if it causes, or is likely to cause, AAEC in India. In Hyundai, for example, the CCI examined restrictions imposed by HMIL that prevented its dealers from investing in other businesses without HMIL’s consent. As this condition only required the prior consent of HMIL, the CCI did not consider it to be akin to an exclusivity condition. Moreover, since several dealers did in fact operate dealerships of competing brands, the CCI did not find de facto exclusivity either. The CCI also recognised that this condition was perhaps necessary to prevent free-riding and continued commercial viability of the dealerships, by restraining the dealers from diverting funds meant for dealing in HMIL’s vehicles for other usages. That said, as explained in question 19, this decision of the CCI was recently set aside by the appellate court. The CCI may prohibit a minimum off-take requirement as a vertical restriction if it causes, or is likely to cause, AAEC in India. To our knowledge, the CCI does not appear to have dealt with minimum off-take requirements as a vertical restriction as yet. Such obligations, however, have been examined under the provisions dealing with abuse of dominance. For example, in Faridabad Industries, the CCI assessed whether a minimum off-take obligation on the buyer amounted to an abusive term. While the CCI appreciated various business justifications associated with such contractual terms, it held that requiring the buyer to fulfil such minimum off-take obligations, even in the event of emergency shutdown, makes the term ‘unfair’ and hence abusive. Restricting the supplier’s ability to supply to other buyers is likely to be assessed by the CCI as refusal to deal or exclusive distribution agreement and prohibited if such restriction causes or is likely to cause AAEC in India. In Autoparts, for example, certain automobile manufacturers restricted spare parts suppliers’ ability to sell spare parts produced by them directly to third parties. On account of such restrictions, the CCI considered each automobile manufacturer to wield significant market power in the market for supply of genuine spare parts, and found this restriction to have foreclosed the automobile repair market for independent repairers. See also question 32.
the tying arrangement must affect a substantial amount of commerce. In Honda Motorcycles, the CCI has, inter alia, initiated investigation into a tie-in arrangement, whereby a certain advertising cost is debited from the dealers’ accounts on the basis of the number of vehicles dispatched to them. The CCI has suggested that this could create entry barriers for other advertising agencies. The Competition Act does not provide a framework to pre-notify an agreement to the CCI (or any other authority). As such, enterprises must carry out competition assessment of vertical restrictions themselves (and, if required, with the assistance of legal counsel). No. The CCI does not provide formal or informal guidance in respect of behavioural conduct. It routinely publishes competition compliance manuals, advocacy booklets, FAQs, etc, which enterprises may use to align their practices with the Competition Act. CCI’s review of the report of the DG and final order: parties provide their comments to the DG’s report typically within 30 days of receiving the report. Parties are then heard. As far as possible, the CCI is required to pass its final order within 21 working days of the date of conclusion of the hearings. This process also typically takes much longer than 21 working days. A vast majority of the CCI’s decisions to date relate to cartels and abuse of dominance. In all the infringement decisions issued by the CCI, we estimate that less than 5 per cent of the cases relate to vertical restraints. Vertical restrictions that cause, or are likely to cause, an AAEC in India are prohibited and considered void. That said, a vertical restriction found to be anticompetitive by the CCI in an otherwise valid contract is unlikely to render the entire contract unenforceable. In the context of contract law, the Supreme Court of India has recognised that if one part of a contract is rendered unenforceable, lawful parts may still be enforced, provided they are severable (Shin Satellite Public Co Ltd v Jain Studios Ltd ((2006) 2 SCC 628)). The CCI has the authority to directly penalise erring enterprises and does not need to approach a court for enforcement of its decisions. For anticompetitive vertical restrictions, the CCI can levy a penalty of up to 10 per cent per cent of the average relevant turnover for three preceding financial years (from the date of the CCI’s decision) of the contravening enterprise. Equally, the CCI may direct the erring enterprise to cease and desist from carrying on with the anticompetitive vertical restraint and change their business practices. Notably, the CCI can also penalise the individual office bearers responsible for the conduct of the business of the enterprise found guilty of contravening the provisions of the Competition Act. requisitioning public records or documents from any office. The CCI may also call upon experts from disciplines such as economics, commerce, accountancy and international trade to assist in its inquiry. The DG also has the power to conduct dawn raids. The CCI and the DG can, and often do, investigate enterprises domiciled outside India. In fact, the CCI is also empowered to investigate and restrain anticompetitive acts or agreements taking place outside India but having an AAEC in India. Competition law enforcement in India is not adversarial. Accordingly, declaratory judgments or injunctions and claims for damages in the traditional sense are not possible in India. However, as a regulator, the CCI is duty bound to examine any information provided by any person or government body to assess whether it warrants a detailed examination. Such information can be provided by parties to the agreements themselves. Also, while doing so, if an informant can establish that the alleged anticompetitive conduct is likely to be established upon detailed investigation and continuation of such conduct pending CCI’s investigation could cause irreparable harm, the CCI may also grant an interim injunction against such anticompetitive conduct. Once the CCI has reached a finding of infringement, any person aggrieved by the anticompetitive conduct of the infringing firm may approach the appellate authority, the NCLAT, seeking compensation for the loss suffered owing to the anticompetitive conduct. In practice though, such claims are rare and usually not processed until the infringing firm has exhausted its appellate remedies. All significant points relating to the assessment of vertical restrictions in India have been covered above. 2018 saw a range of range of closure decisions and one infringement decision from the CCI involving allegations of anticompetitive vertical agreements. One of the most notable decisions of the CCI was its dismissal of allegations of algorithmic collusion and resale price maintenance against Uber and Ola - India’s two key technological platforms for taxi aggregation. See question 19 for CCI’s key findings in this decision. In mid-2018, the NCLAT also set aside the only resale price maintenance penalty ever imposed by the CCI (in Hyundai) on account of the CCI’s failure to independently examine the evidence collected by the DG, define the relevant market correctly and demonstrate anticompetitive effects within the framework stipulated by the Competition Act. See question 19 for CCI’s and NCLAT’s key findings in relation to these decisions. The government of India recently constituted a Competition Law Review Committee, which is mandated to propose amendments to the Competition Act (and the accompanying set of regulations) in order to make them consistent with strong economic fundamentals and international best practices. The suggestions of this committee may also touch upon the current framework for assessment of vertical restrictions in India.